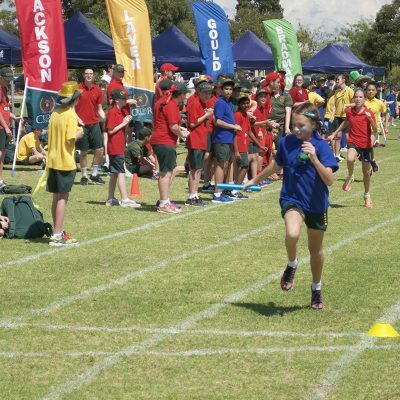 The Annual Cedar College High School Sports Day is always a highlight of the school year, as Bradman, Laver, Gould and Jackson battle it out for the Sports Day House Shield. This year, the stakes are huge! The focus on House Teams within the homerooms means that team spirit will be at an all time high. Parents/friends may attend the day, ensuring that they sign in at the visitors desk upon arrival. The day begins with individual events, concluding with the team relays, whole team events, and the fiercely competitive staff vs student relay. All High School students are required to wear their team polo shirt, as well as a hat and sunscreen. In the event of hot weather, students will be notified the day before, and a backup day of Friday March 15 will be used.